We just read this great article on hot kitchen trends on Realty Biz News‘s website and thought we should share some of our favorite tips for kitchens. For the original article, visit their website. These tips will give your kitchen character and charm while also appealing to potential buyers. 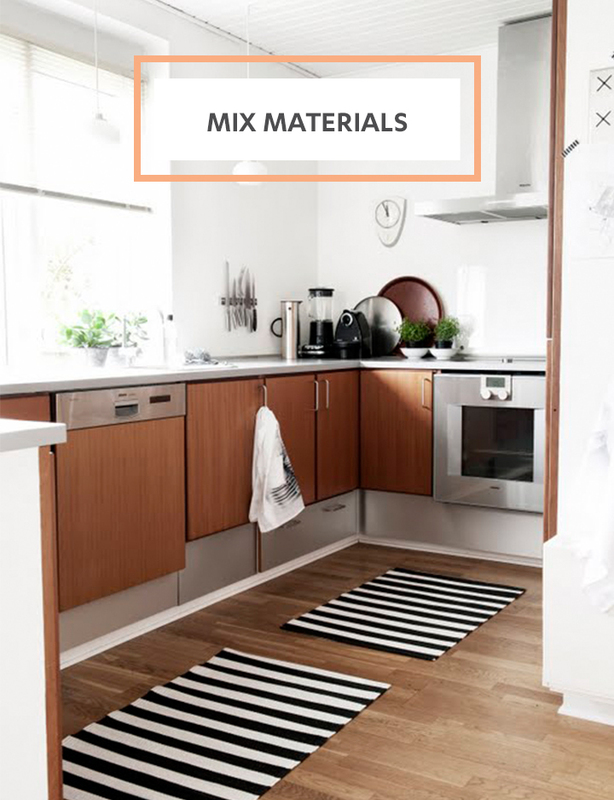 They range from things to consider when remodeling to small, easy changes you can make to your kitchen now to give it a little charm. If you’re anything like me, you spend a lot of time in the kitchen and you enjoy it. I like to be surrounded by cheerful colors and I’m not the only one. 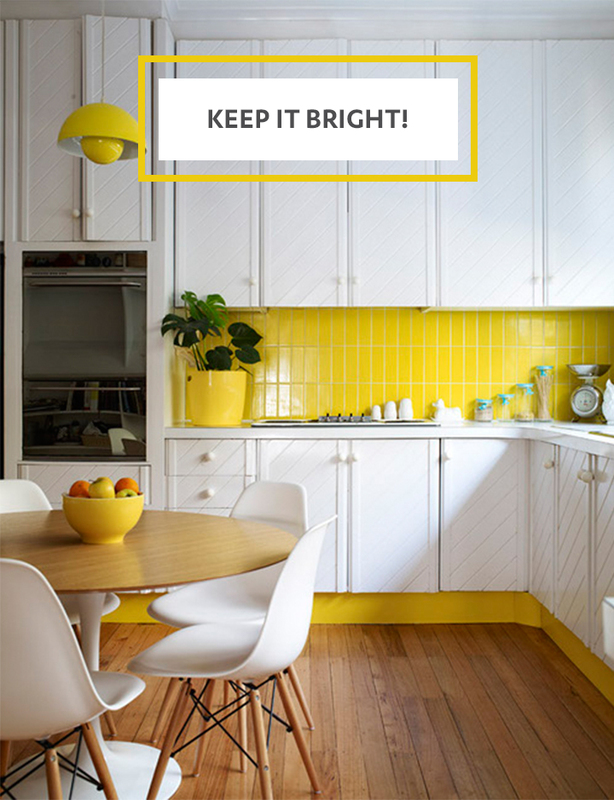 Design blogs have been sharing brighter kitchen spaces, and remodelers are jumping on board. 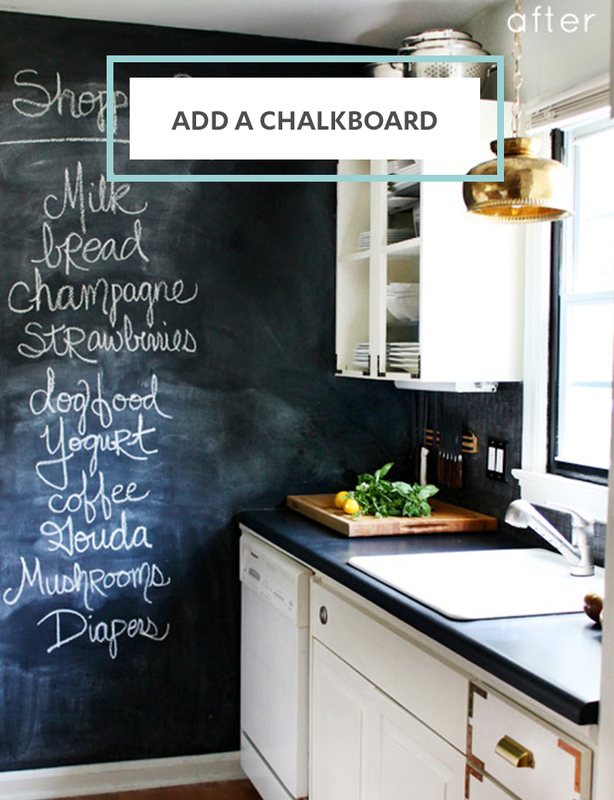 Chalkboards are a big kitchen trend, especially chalkboard paint on an accent wall. This low-cost DIY project adds charm and even some drama to even the most ordinary kitchen. Mixing more industrial elements (like stainless steel appliances) with natural materials make a space feel warmer. Wooden cabinets and floors and plants on countertops soften the look of the appliances and straight lines of this kitchen. 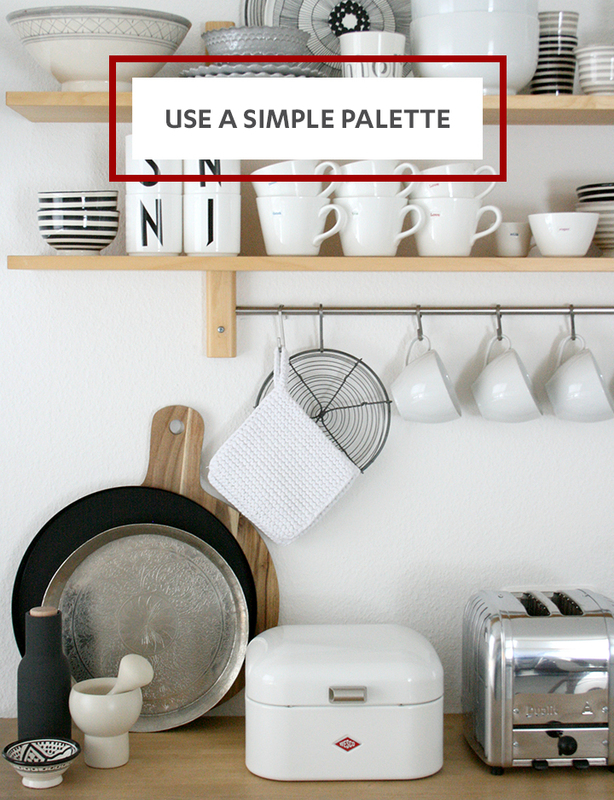 You can have a lot of stuff in your kitchen without it looking cluttered if the items share a similar color palette. This kitchen uses black, white, wood, some metal and a few very subtle red accents to create unity among the items displayed. There’s a lot going on and none of the pieces really match, but they all look cohesive because they’re part of the same color scheme. And the more neutral you go, the more clean and open your kitchen will feel. 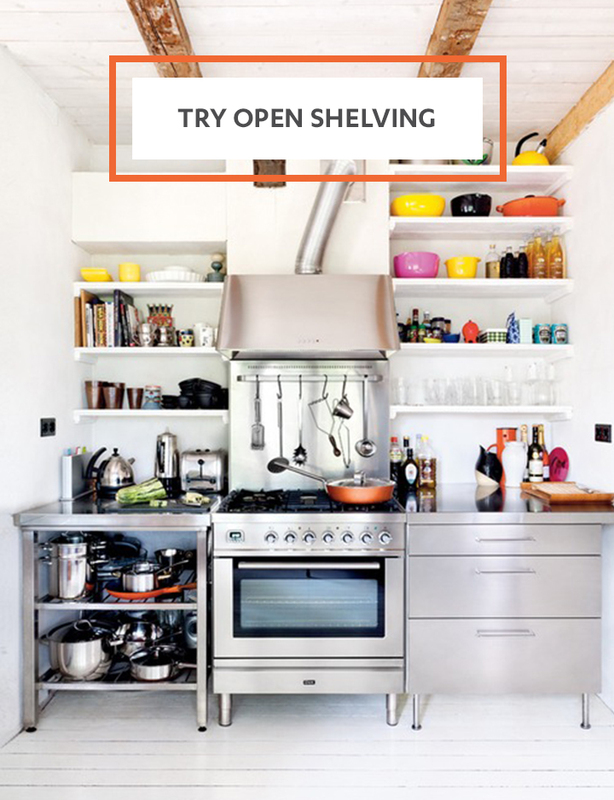 Open shelving isn’t exactly a new trend — it’s been around for a while, but it has definitely been gaining popularity. The key is to group items together; bowls in one area, cookbooks in another, pots and pans all together, glasses in the same place. And don’t be afraid to show off your pretty dishes, glasses, pans and other kitchenware! The look can also help to open up your space. 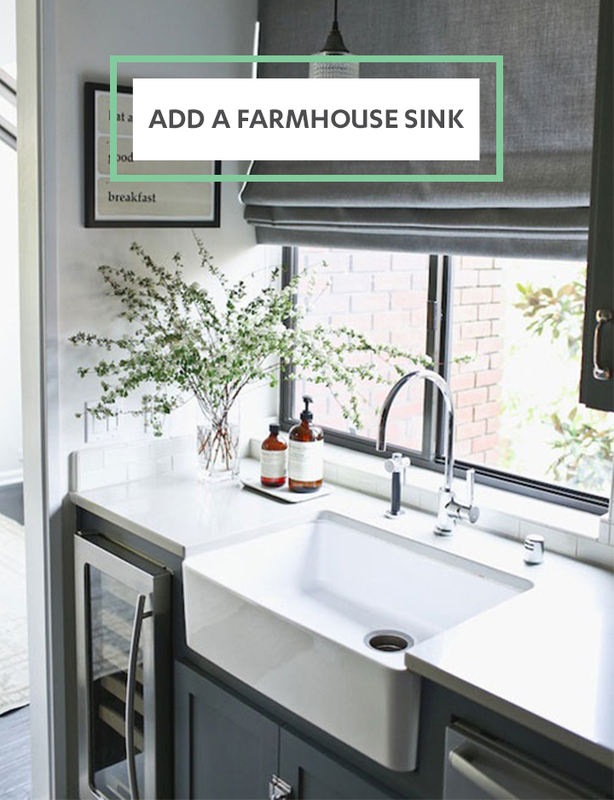 We’ve been seeing farmhouse sinks everywhere lately, and we really love this alternative to the double-sided style. These large, basin-like sinks are usually a little deeper than traditional sinks, and add a great element of style to a kitchen. Most styles come out from the edge of the counter just a little for some visual interest. This one adds a little bit of curviness and a glossy surface to this straight-lined, grey kitchen.